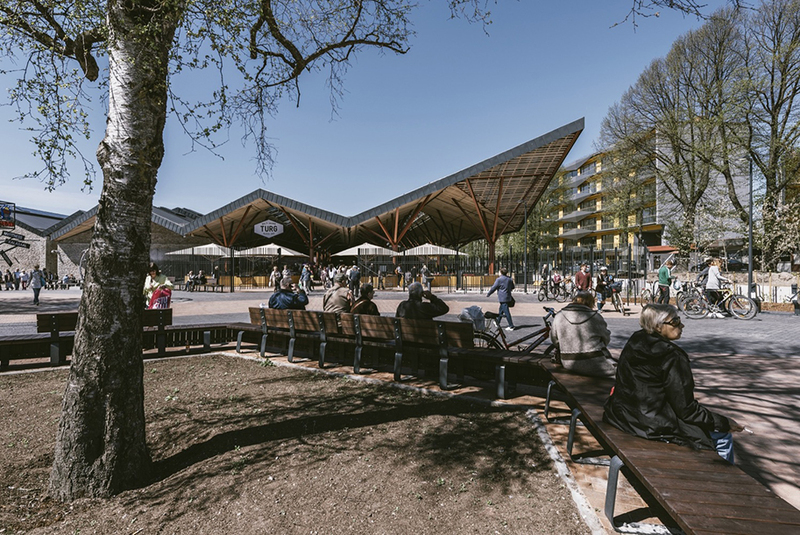 The Balti Market, located between Tallinn's main station and the Kalamanja residential area, enjoys a very active location. 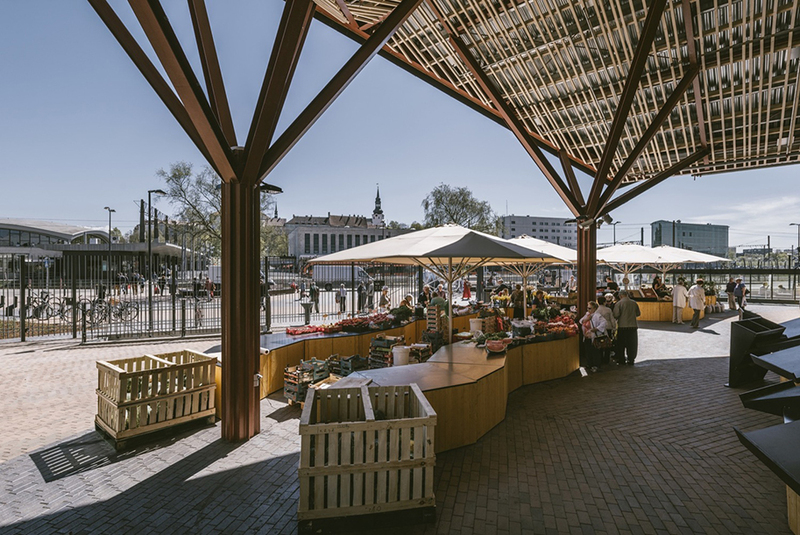 Here, the architects of the Estonian KOKO agency combine the typical functions of the market - butcher's stall, fish and dairy - with other more attractive structures, such as a farmer's market, the sale of street-food, or even restaurants and cafes, to offer 25 000 square meters a comprehensive and attractive program for all generations. 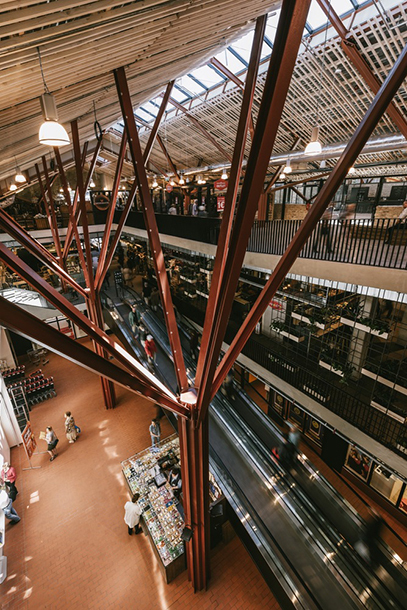 The 1870 warehouse that houses the market since 1993 is located on two floors. 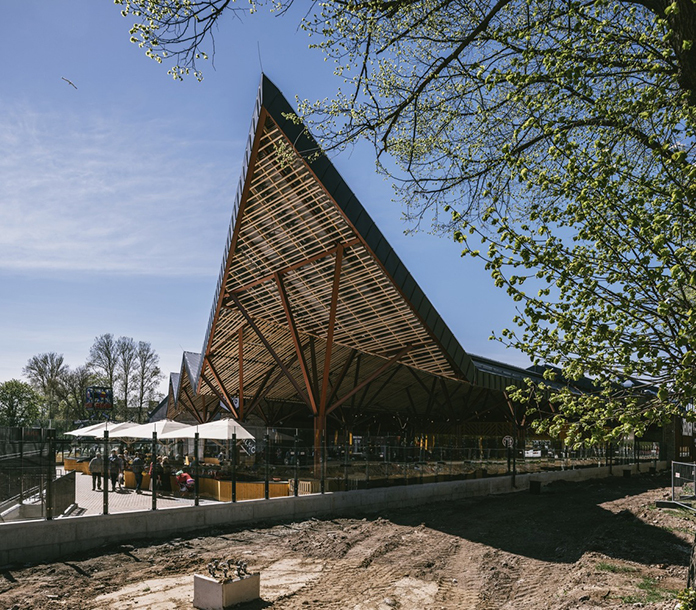 The architects here complete the more than a century-old building with an extension that includes an inclined roof respecting the original shape and size and a basement that houses new activities. 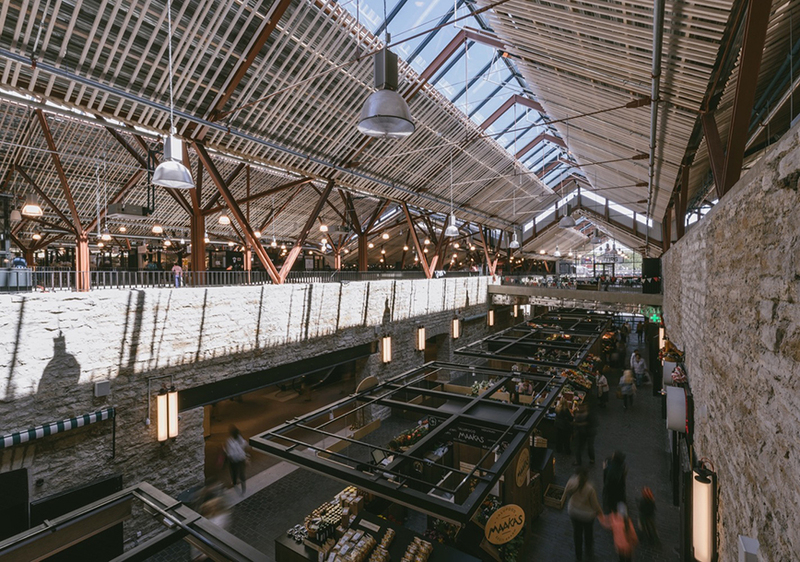 The original limestone walls are preserved to testify to the past of the place, giving the whole a colorful and varied palette of bricks and ceramics, while wood and metal refers to the industrial character of the city. 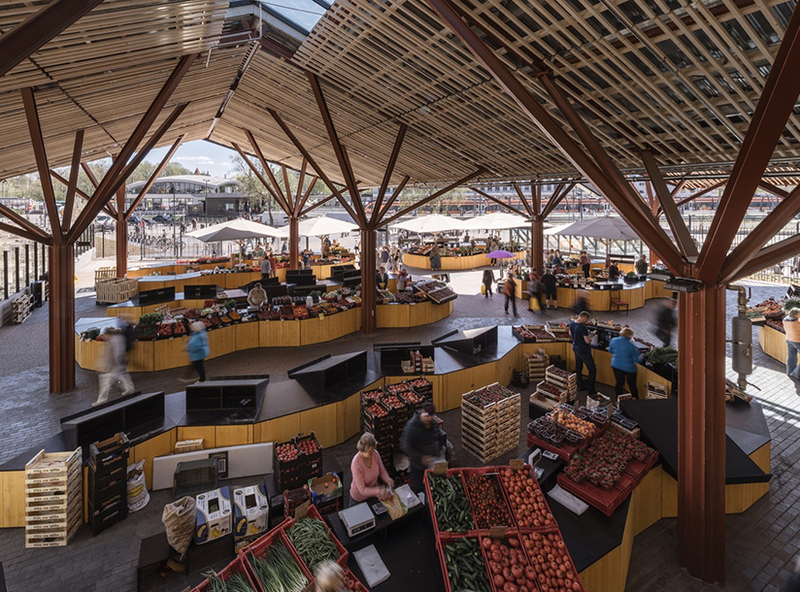 The front part of the roof is left open, as in the original market (1993-2016), and the outside is offered wooden kiosks, connected by ramps and terraces, and supplemented by relaxation areas, including a children's play area. 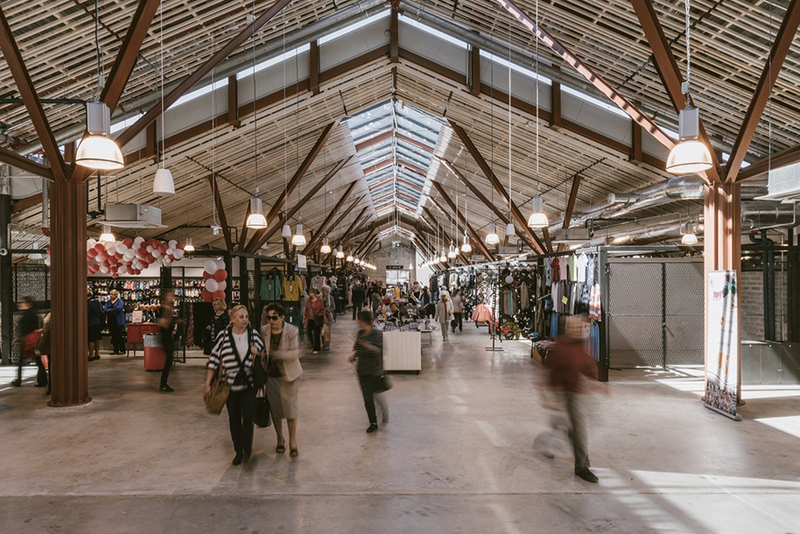 The ground floor aims to attract the anthill of sellers and visitors around the different stalls, while the first level houses the stands of artisans, essential to the historic market, and offers an open space, bright and airy thanks to its high ceilings in strips of wood. 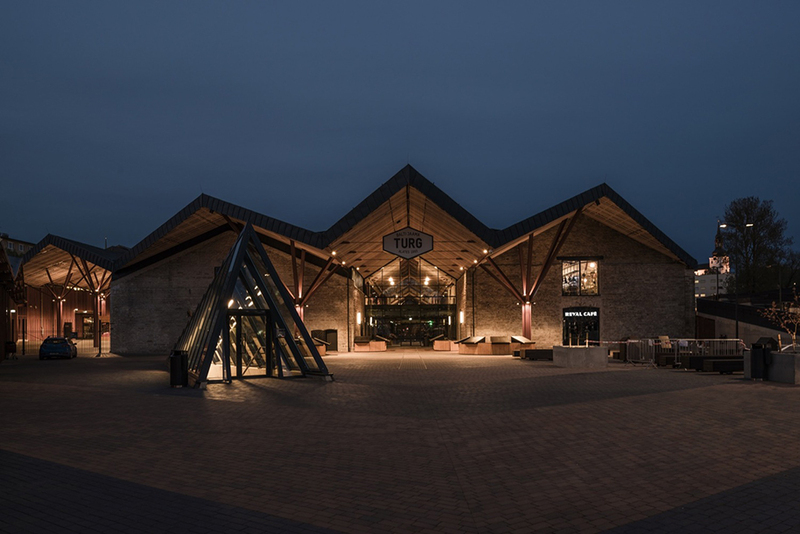 The panorama of the first floor is provided by the presence of two terraces extending a restaurant and a brasserie facing south. 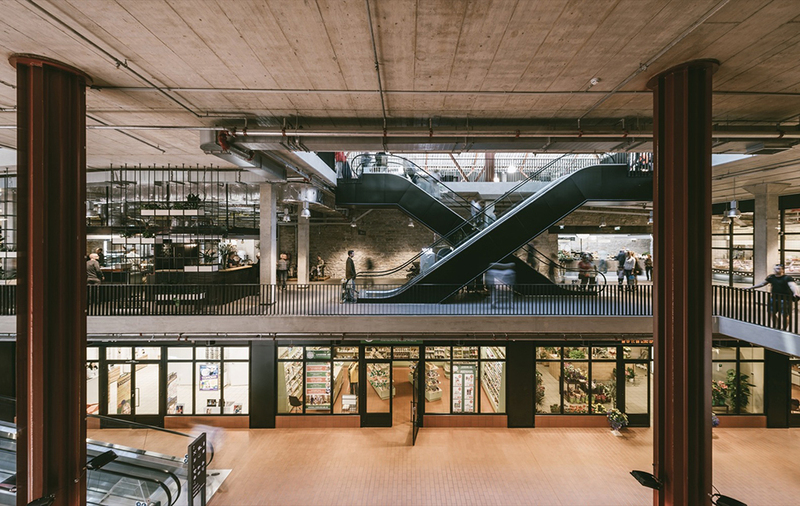 The basement, meanwhile, hosts a supermarket and a gym. 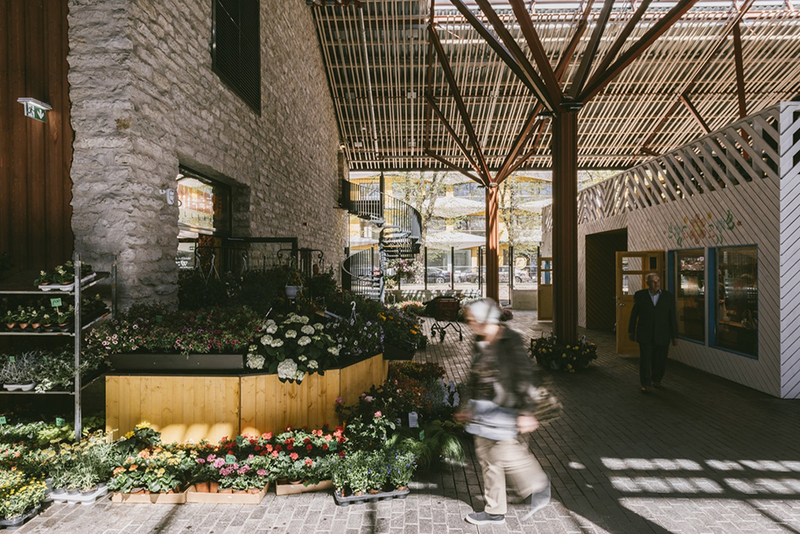 The market is enjoying a second wind at the height of the enthusiasm and dynamism of the post-Soviet era, combining an old and friendly practice with a real place of life.